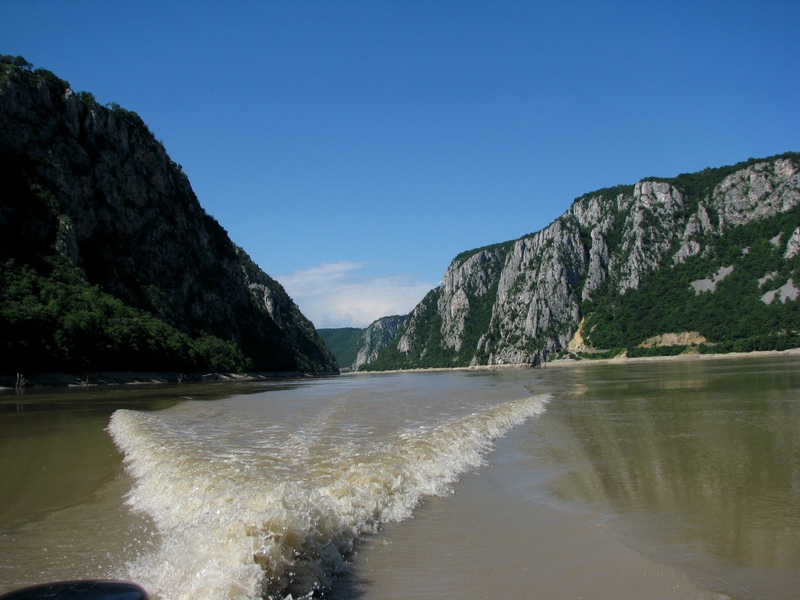 The Danube Boilers Gorge between Romania and Serbia has the narrowest part (up to 150m) in Cazanele Mici and Cazanele Mari (“The Small Boilers” and “The Large Boilers”), which have together about 19km. This part was once very wild, with many cataracts and whirlpools. 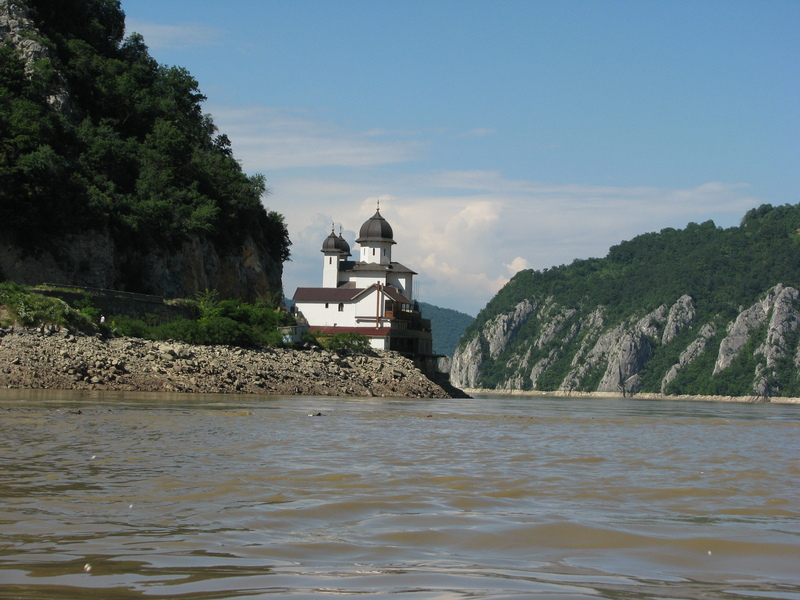 Between 1890 and 1896, there have been extensive works to regulate the Danube, in order to make it navigable between Bazias and Turnu Severin. 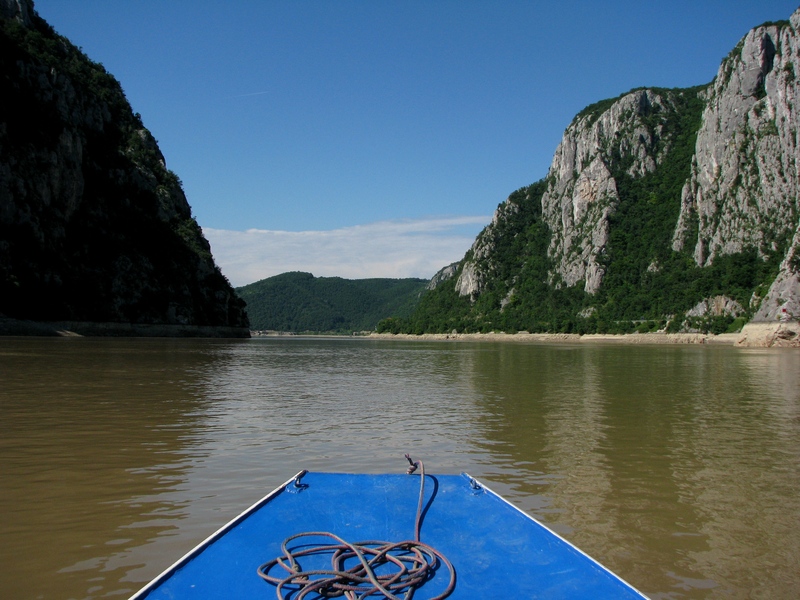 It was a huge work, which required enormous expenses supported by the Hungarian state (about 20 million guilders. 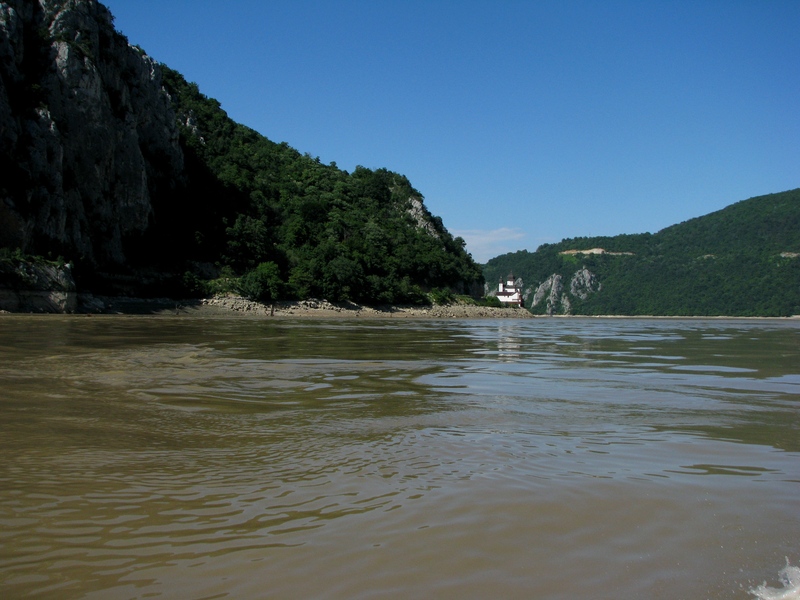 At that time a palace with 4-5 floors would cost about 5000-7000 guilders) and an extraordinary deployment of work-force, but the arising benefits were well worth the efforts, because the opening of the Danube Gorge (in “Clisurile Dunarii” area, an other Romanian name for the narrowest part of the Danube) gave the navigation an extraordinary development, thus conducing to a serious intensification of trade for all riparian states, which have since then opened their way to the sea.